I have met a lot of people in their eighties and nineties who have comfortably embraced the technology of modern communication. These individuals carry I Phones, use the Internet to stay connected to current events, email, participate in chat rooms of interest; some even listen to music on an IPod. My Mother was not one of those people, but she was able to use the answering machine. The contraption served as a sounding board of sorts, a non-judgmental, active listener through which she expressed every feeling to the fullest. Each call would begin in exactly the same way: “Hi, its me. Its about 10 PM my time, (she lived in Michigan) so its about 7 in Seattle.How is everybody? I havent talked to you in a while.” If by a while she meant the last 10 minutes or sometime in the last 10 hours, then she was correct. Her short-term memory loss was highly evident during her answering machine therapy sessions. After her warm up, came the working phase of the session. Unabashedly un-self conscious, knowing she was being recorded, and also forgetting she was being recorded, she talked as if she were reliving the situation that caused her to feel so strongly in the first place. During the session she would demonstrate a number of actions: cry, complain, curse, chuckle, laugh hysterically, query. She would also dramatically express a number of emotions: excitement, enthusiasm, pleasure, anger, disappointment, and grief. Talking to the answering machine not only served as an outlet for her feelings, it became a diary of her daily activities, and a way of not feeling so alone when I was unavailable to answer her call. Her verbalizations often revealed the intensity of her isolation, and her despair at the changes taking place in her body and mind — the resulting waning of her strength and independence. As I listened to the tape my heart would clutch; those descriptions were a frightening reminder of how her world was shrinking. Severe vision loss necessitated a move to assisted living. Saying goodbye to her condo of thirty-something years was devastating. “I want to go home”, she’d sob into the phone; “Why cant I go home?” She complained about many things. In an arena where someone else planned many of the daily activities, I think this was her way of validating her own style. The bread on her tuna sandwich wasn’t toasted the way she always made it, her linens came back from the laundry sloppily folded, the woman down the hall repeated things over and over, (now that was a funny one) or the air conditioning in her apartment wasn’t working. 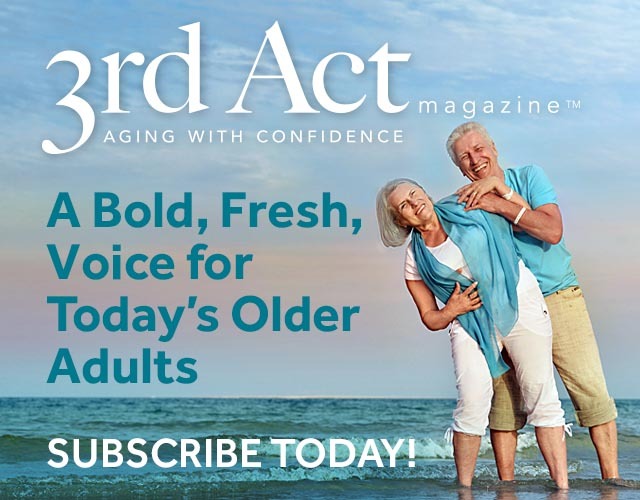 She described her inability to insert her hearing aid battery, and her deep pain at being dependent on someone else to assume this formerly simple task. She expressed worries about her finances — did she have enough money to keep paying for this expensive assisted living facility? What would she do if her money ran out? The answering machine tape didn’t however, always play doom and gloom when I’d rewind and listen to Mom. Though unable to see the bingo cards, she was full of pride that the recreation lady enabled her to participate in the game. The recreation therapist would whisper the numbers in Mom’s ear, then hand over the microphone so Mom could call out the number. 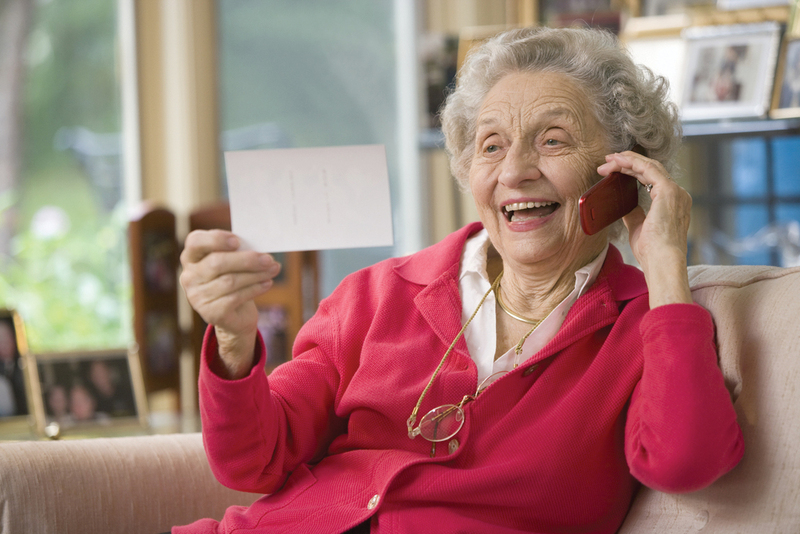 Animated when leaving her message, my Mother would squeal with delight like a kid returning from a Little League game, “I played bingo today!” She’d try to sound casual, as if it really was no big deal. But then she’d boast, “So many of the people who were playing said I must have been a teacher because I enunciated so well!” Mom also revealed a bit of competitive spirit as she described the weekly trivia game, where she called out the correct answers before anyone else. I knew the name of every President’s wife; she crowed cheerily, their names just rolled off my tongue! She expressed elation whenever I was planning a trip to visit her. Onto the answering machine she would list the things she hoped we’d do while I was staying with her. As I listened, I would become excited myself. I was humbled to think that the anticipation of my presence could elicit such joy from my Mother, especially since there were parts of the trip that I dreaded. As I re-played my Mother’s messages on the answering machine, I knew it felt to her as if she was talking to me directly. That makes me so grateful for the existence of that old-fashioned, now seemingly trivial, piece of technology. For every message she left on the machine, there was an equal amount of time we actually talked together. Even though she had already shared the details on the tape, she would repeat everything all over again into my ear. I am happy that doing each of these things gave her comfort. Sometimes, when it was getting to that moment in the phone conversation when everything had been said, and its time to wind the dialogue to a close, she’d say, “Oh, I dont want to let you go”. Okay Mom, we can talk a little longer, I’d reply. Much to my husband’s chagrin, I have saved my Mom’s taped messages. She died one year ago, and I don’t want to let her go either. I will listen to the messages again, just not yet.